I feel like emails, facebook, IM’s, etc… are a bit boring and disposable; you never really need to put any amount of effort and thought into what you write. Letters are much more interesting and have a greater impact, simply by the virtue of being tangible and the product of some work, skill, thought and heart. 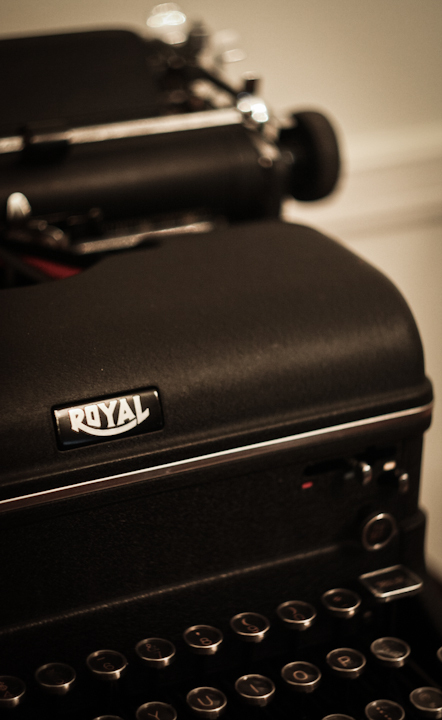 The perfect solution: A Royal KVM Magic Margin desk typewriter. Actually using the typewriter is a lot of fun – you will very quickly appreciate how much of Microsoft Word you take for granted (Margins, tabulation, auto-new line, etc…). Even the act of typing is a learning curve – you need to use the appropriate amount of pressure (too hard and the head with skip and leave ghost letters on the page, too light and the carriage might not advance causing you to over-type the next character). You’d think typing an exclamation mark would be straight forward, right? Wrong. You have to type an apostrophe, then backspace, then a full-stop. Make a typo? Unlucky – you better start from scratch. It sounds like a recipe for misery, but unless you are a bit of an idiot, the challenge is half the fun. In the interests of keeping my moving hassle light, I didn’t ship anything over from the UK when I moved – including my guitar. At first, I didn’t appreciate how much I’d miss it, but when one of our directors brought his Baby Taylor in (which, thinking about it, I could have brought my own B.T as carry-on..), I realised that the simple joy of playing an instrument was missing from my life. I couldn’t make my mind up whether to splash out big bucks on a new acoustic guitar (probably something in the $2000 dollar range) or try a new instrument out, like a Uke or Mandolin (around the $200 mark). I decided to go for the Uke as it looked like it would be easy to get the hang of and a bit more flexible than a Mandolin. 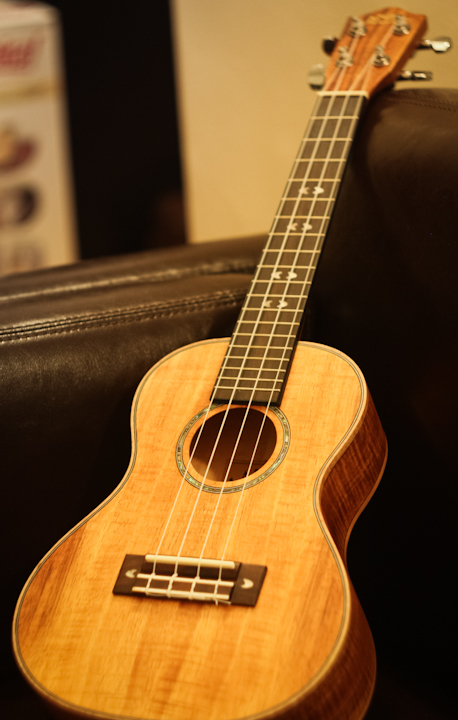 I got a Lanikai CK-C (Curly Koa – Concert size). Googling good resources for learning to play the thing threw up a great site with what might be the greatest name of all time: here.